Lip augmentation is used by men and women of all ages in order to achieve plumper, more attractive lips, and reduce wrinkles around the mouth. It may be done on one or both of the lips by inserting or injecting natural filler, or by placing material from the inside of the lip to the outside. Depending on the procedure, results may be temporary or long lasting. Talk to your surgeon to discuss your needs and surgical options, of which there are many. Each has its own particular advantages and limitations. The lips are filled with a soft substance, most commonly fat, to give them a fuller appearance. Other injectable materials such as Juvederm may also be used. Recovery time is minimal. Juvederm: it is a natural cosmetic dermal filler made of non-animal-based hyaluronic acid. Hyaluronic acid is a natural substance that already exists in the human body and is used to provide volume and fullness to the skin. It corrects moderate to to severe facial wrinkles and folds such as the lines from your nose to the corners of your mouth (nasolabials folds). It has been used by plastic surgeons since 1996 wolrwide and generally the the effects last for about six months. Fat injections make use of your own purified fat, usually from your abdomen or thighs. Because it is from your own body, there is no risk of an allergic reaction. The injections are temporary and are often performed more than once for optimal results. 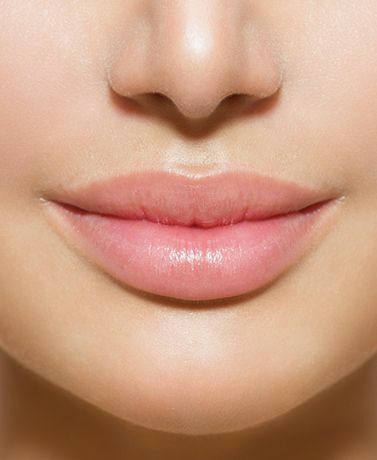 Check with your doctor to see if laser rejuvenation, which tightens the natural tissue of the lips, is available. Lip augmentations may take a half an hour to two hours depending on the procedure. If you are healthy you will not need to be hospitalized for surgery. It can be done under local anesthesia with sedation on an outpatient basis; you will leave for the comforts of home within a few hours. Though the procedure are painless, patients may experience discomfort and swelling afterward; less discomfort is typically experienced with injections versus grafts and flaps. Consult your surgeon in order to discuss more fully all of your lip augmentation options. If you are not ready to commit to a permanent augmentation, opting for a temporary lip-enhancement may be your best initial choice.